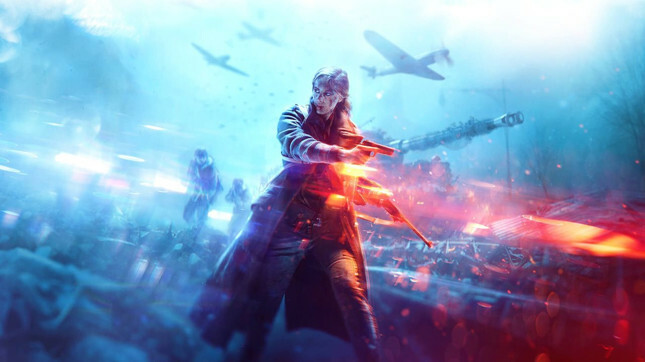 Battlefield V has been delayed until November 20, EA confirmed this morning in a statement. "You have told us that you are seeing an increased focus on squad play come through, you are also feeling the difference in our revamped player movement and we are getting a lot of positive feedback for our improved weapons handling," said DICE general manager Oskar Gabrielson. "We’re going to take the time to continue to make some final adjustments to core gameplay, and to ensure we really deliver on the potential of Tides of War." EA has confirmed that Battlefield V's open beta will still go live as planned on September 6. The World War II shooter was scheduled to release on October 19, sandwiched between Call of Duty: Black Ops 4 and Red Dead Redemption 2. This delay will put a good month between releases. Guess that means there's plenty of time to soak up Black Op 4's single player campaign... oh, wait.